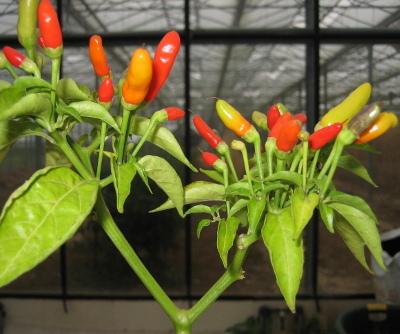 Tabasco is the best known Capsicum frutescens cultivar because of the commercial chilli sauce of the same name. 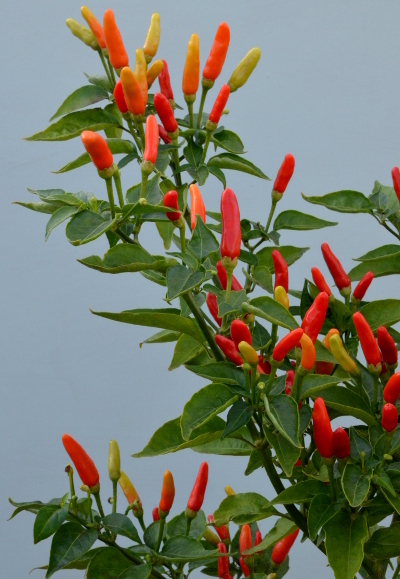 Although the flavour is exceptional, the plants need more heat and humidity than can be provided by gardeners in Northern Europe and consequently give low yields ripening rather late in the season. 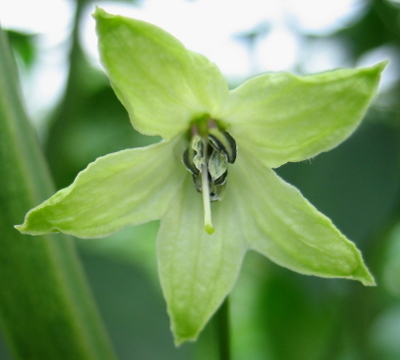 These are great chillies for using fresh in cooking. A few chopped Tabasco chillies will transform a prawn stirfry, but they can be used wherever a dry smoky flavour will add to the flavour of a dish. 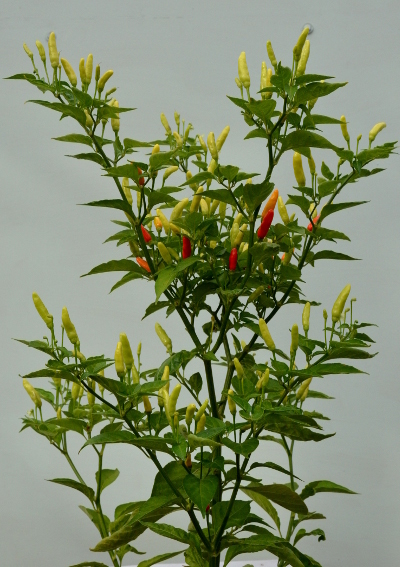 The ripe chillies are easy to detatch from their stalks, and so are convenient for drying.